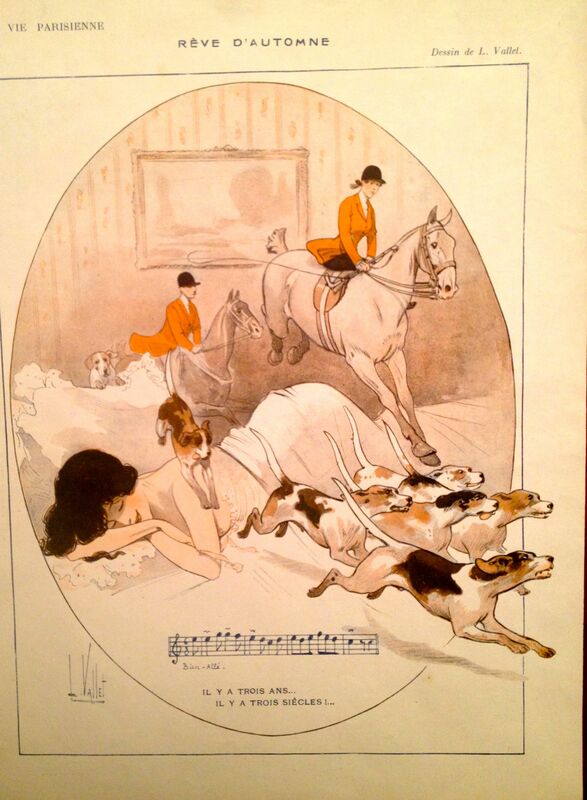 Wow, this vintage print from La Vie Parisienne nails it for me. I am certainly dreaming of hunting! We are actually supposed to have our first hunt on April 15th. Hard to believe when there’s still snow on the ground. I am trying to stay optimistic about it, even though I haven’t been able to ride for nearly a week. Freedom, at least, keeps himself fit. He won’t have any trouble with spring cubbing. It’s me who needs to get a lot fitter between now and then.